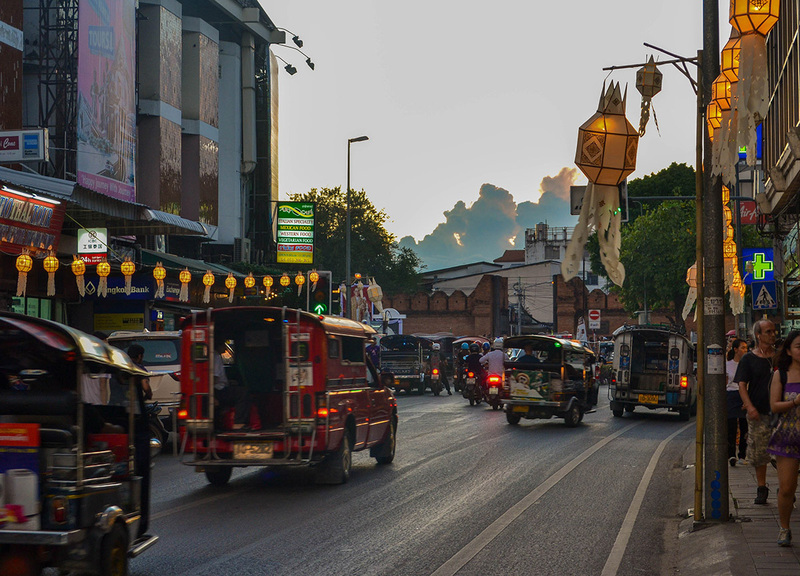 Chiang Mai has never really appealed to me in the past and, given the choice, I would probably opt for a similar lifestyle in other ”cultural” Asian cities, like the valleys of Ubud, Bali, maybe. 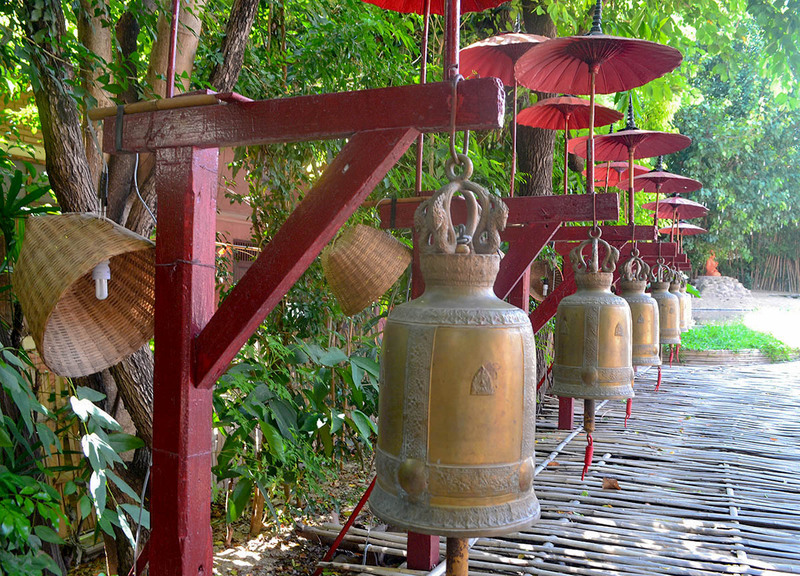 But, at the same time, Chiang Mai is a very easy destination to access. 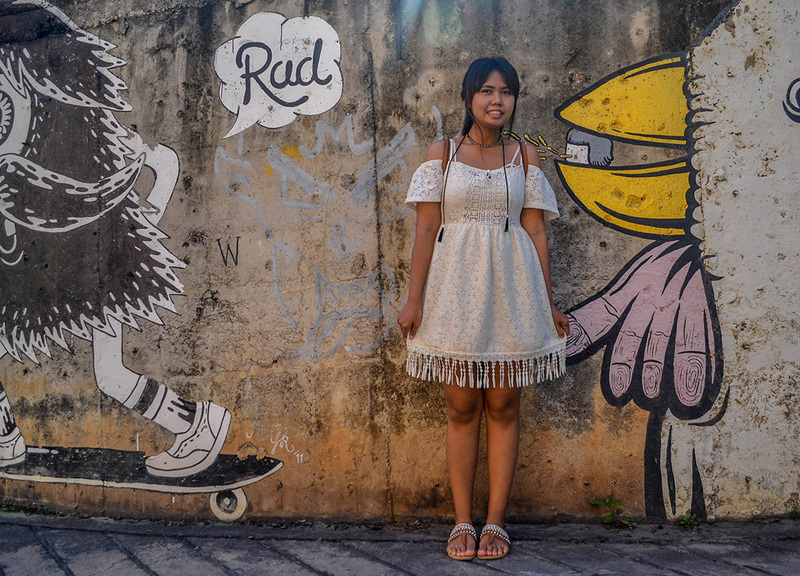 And, while I have avoided the city much in the past, I unexpectedly took a shine to the quiet backstreets, graffitied wall art and mountain backdrops of the Nimman area, on our most recent visit. The area feels a bit “Ta Ton Yon” as the locals say, which means “chilled” or “slow-moving”, and, while I’m used to people always being rushed and busy in Bangkok, life feels the opposite in the North where the locals just seem more relaxed, friendly and engaged. Hell, even I feel more friendly, which is very unusual for me, given Chiang Mai can sometimes feel like one annoyingly massive Khaosarn Road. But I like it in Nimman and, while it is still swarming with backpacker stereotypes (and often it feels like every other person is an expat), it no doubt feels less claustrophobic than the central areas of Chiang Mai’s old city. Anyway, I have taken it upon myself to look at the potential lifestyle, and cost of living in Nimman Chiang Mai (0r Nimmanhaemin Road to give its full name). The Nimmenhaem Road runs up to Chiang Mai University, so there is an amiable young crowd found in the area, or at least it’s a mix of crowds. 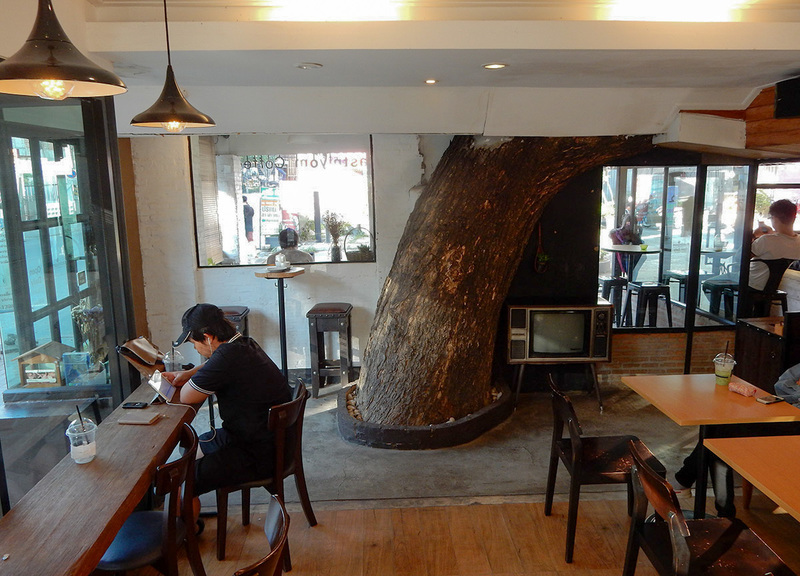 It has also become known for its trendy boutique and cafe culture which I’m kind of new to, but it’s growing on me. 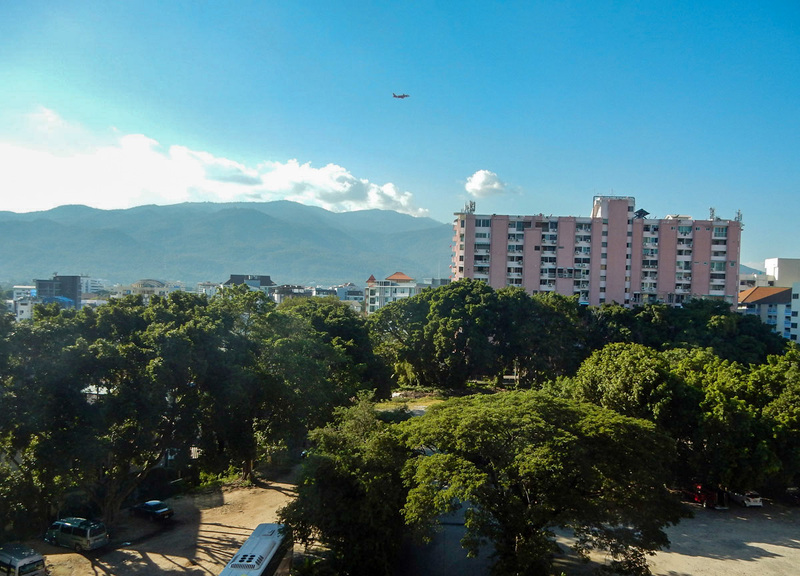 The streets, or sois, of Nimman are relatively low-rise as well, meaning the area feels somewhat local yet urban, and it does still hold some of the old charm of Chiang Mai, and the backdrop of surrounding mountains is always a reminder of this. 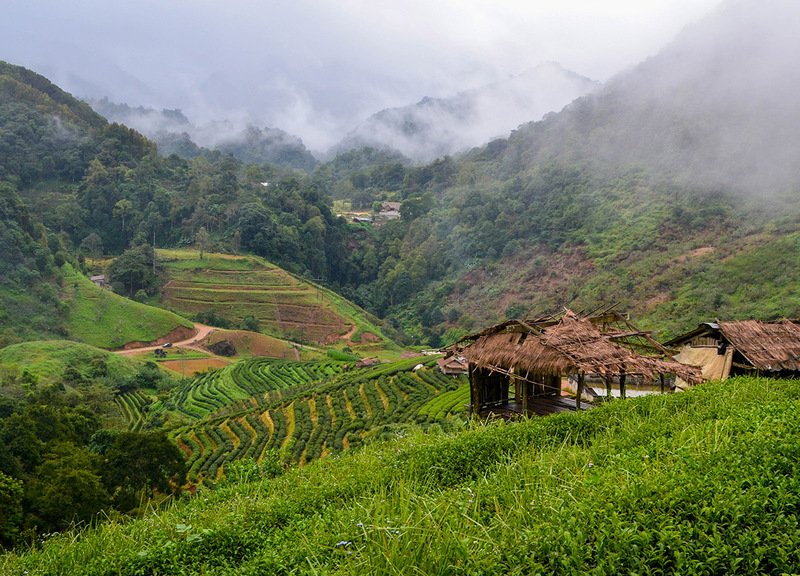 But, if we do move to live in Nimman, and Chiang Mai, it would ultimately be for Fanfan, who often gets bored with our more recent stints in Thai rural life. 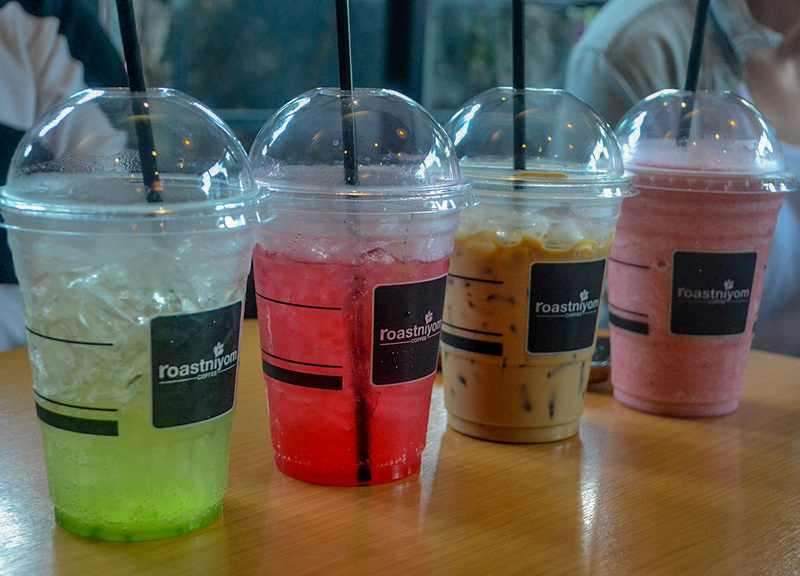 I know she would be happy with iced coffees, cake, and chitchatting with her Chiang Mai friends. But, while this cafe culture is not so much my scene (I like my coffee strong and near a toilet) I did write this post while sat next to her and her friends, in a cornershop cafe. So I know I can still be productive when in Nimman, in fact probably more productive than before. So while I know I would miss the good life in rural living, I am also happy for a change of scenery. The local food scene would always be a big worry for me and what I have always loved is Bangkok is not only the seemingly endless variety of affordable international food, but the street food and cheap eats found at nearly every corner. I also thought, in Nimman, I’d be hard pressed to find decent Isaan food, yet, on our first day, I find a fantastic Isaan restaurant in SoLao (seriously, try their som tams and yum salads). With Thai food, it would honestly be a coin toss between Lanna and Isaan food anyway, and in Nimman I’m guaranteed top-notch eating for both. 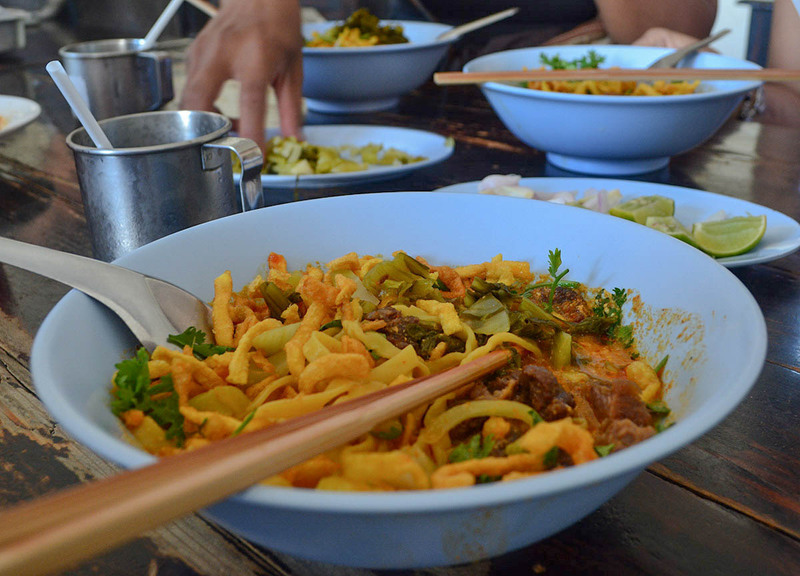 For local Lanna food, it is of course found locally in street food, shophouses and food courts throughout the Nimman area where bowls of Khao Soi Noodle Curries set you back around 35 Baht, or Khanom Jeen Nam Ngiao around 20 Baht. Silly cheap. 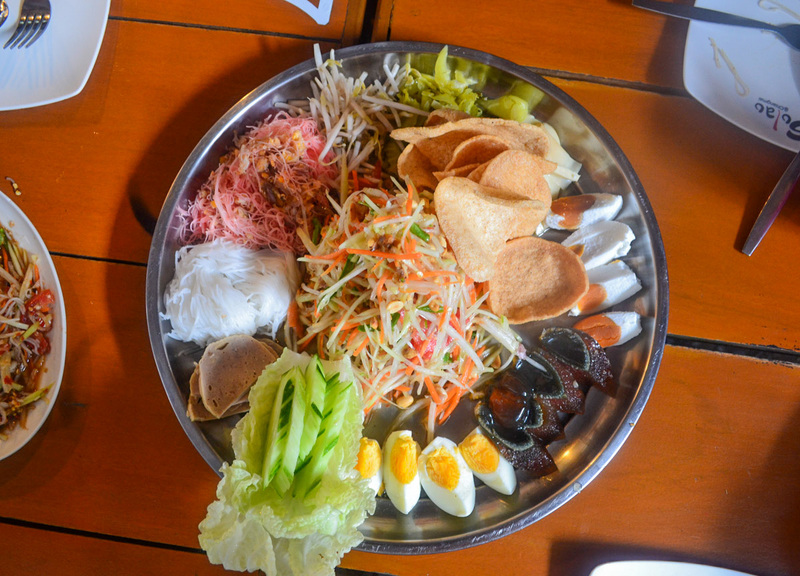 Add in snacks of sai oua sausage, and Northern nam priks, and you’re eating fantastic food on 100 Baht a day. But the area is also well known for its trendy eateries which are dotted throughout the different sois and, in no time, I managed to find those necessary staples of our previous lifestyles, like great ramen and sushi finds. 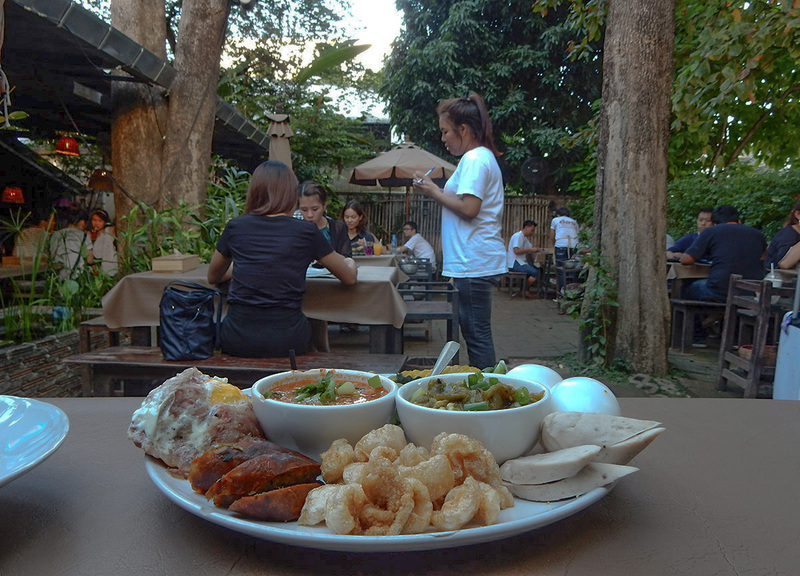 There’s also some amazing upmarket Lanna food (still silly cheap) at Tong Tem Toh on Soi 13. I’m really not sure what western comforts are these days, but I’m guessing you’ll find them at the malls, and there are two big ones on the perimeter of the Nimman area. 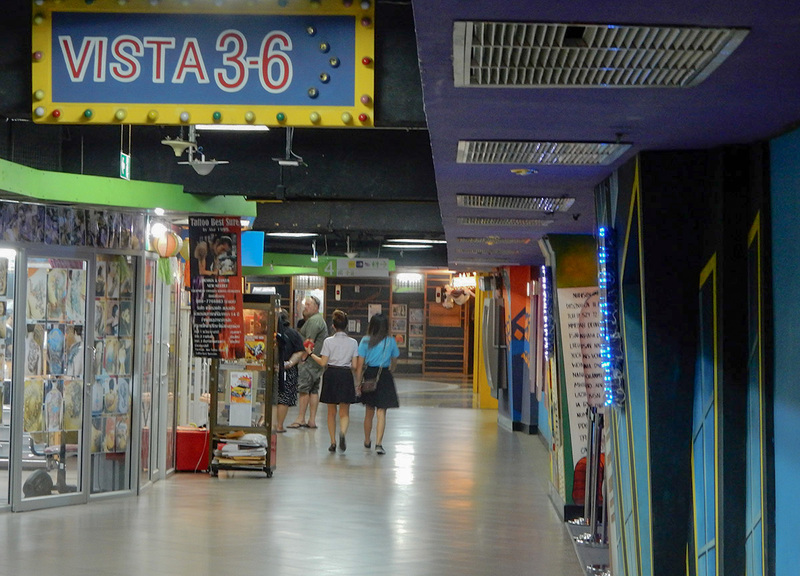 The spanky new Maya Lifestyle Shopping Centre sits at the very top of the Nimmanhemin Road junction and, a bit further, is Kad Suan Kaew on the adjoining Huay Kaew Road. They’re both your typical malls with supermarkets, cheap eat food courts, high street shopping brands, a bunch of international food chains, then cinemas, bowling and other entertainment. There’s even a Starbucks in both, although I have absolutely no idea how they survive. 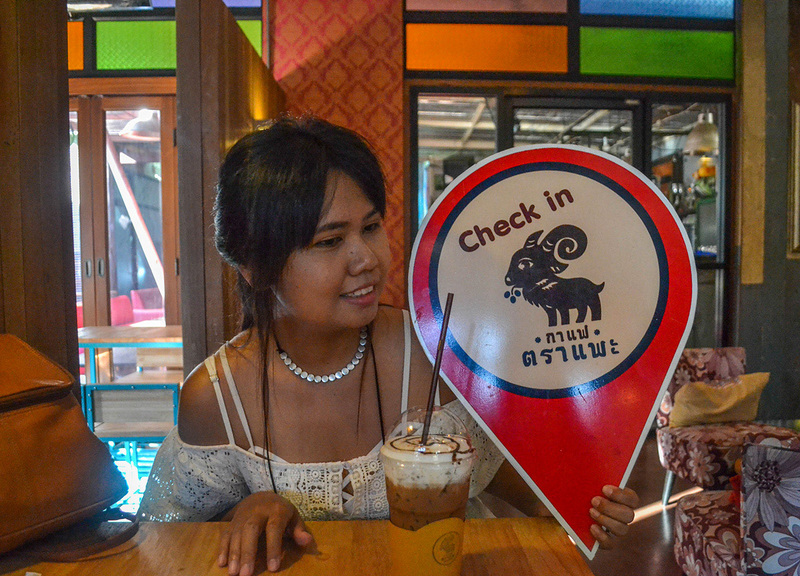 Anyway, on our most recent visit, we actually used Kad Suan Kaew mall (Baan Din Ki hotel inside) using it as a base for a week, while we took on road trips further north in Chiang Mai province. We used their Tops Supermarket to stock up on supplies before travel, and killed time in the cinema (110 Baht) before our final flight out. It’s really quite quaint and dated compared to the modern malls of Thailand and it apparently was the first mall of its sorts in Chiang Mai at the time. 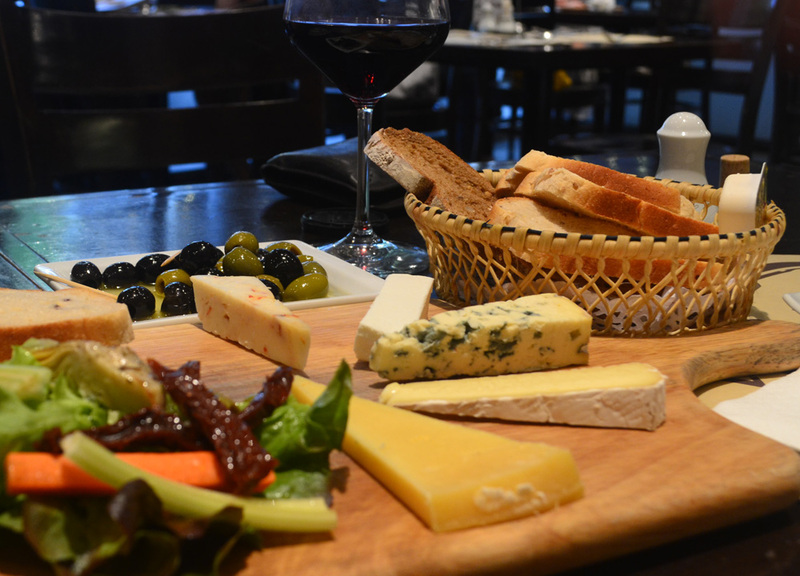 Anyway, the one essential we didn’t quite find was affordable wines and hard to find deli products, like cheese. But, thankfully, there is a Wine connection further afield, in Central Festival. So we did manage to bring together all the necessary eating essentials for a happy and comfortable living in Nimman. I have almost all essential food within walking distance so I really have nowhere else to go, other than the airport. So from the airport it’s generally a fixed price of 150 Baht, and this goes the same the other way to the airport. You can get the odd Songtaew taxi for around 40 Baht per person there, but this does vary and, given the baggage and needed comfort, it’s probably best just to the fixed 150 Baht. I would also go with the air-conditioned ‘taxi meter’ as tuk-tuks will likely charge the same. Otherwise, locally, travel expenses will depend on how active you intend to be. If planning to move around a lot, then hiring a motorbike will set you back about 3,000 Baht per month. If just popping into the central old city area then tuk-tuks from Nimman to Tha Pae Gate will be around 100 Baht, and again this is similar with air-conditioned ‘taxi meters’. Note, I’ve never seen a ‘taxi meter’ taxi ever use their tax meter. 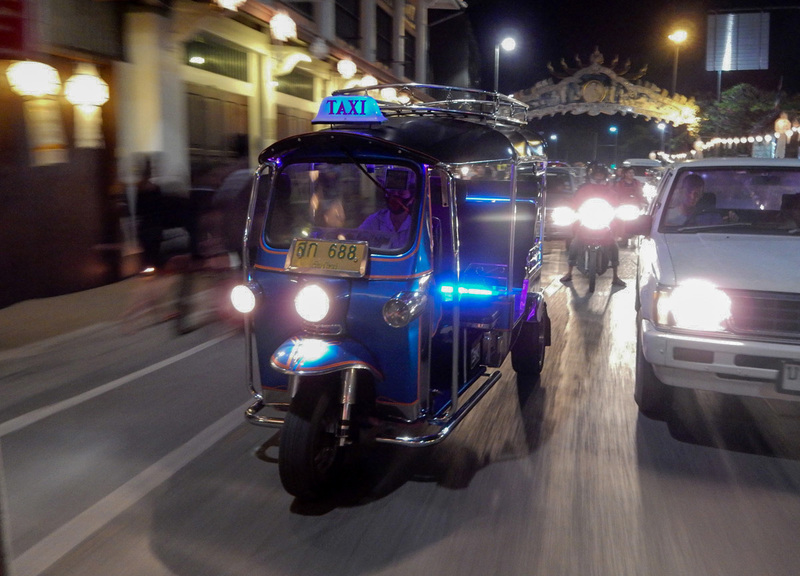 But the cheapest travel mode would have to be the Songtaew taxis, which are really a bit weird in Chiang Mai. 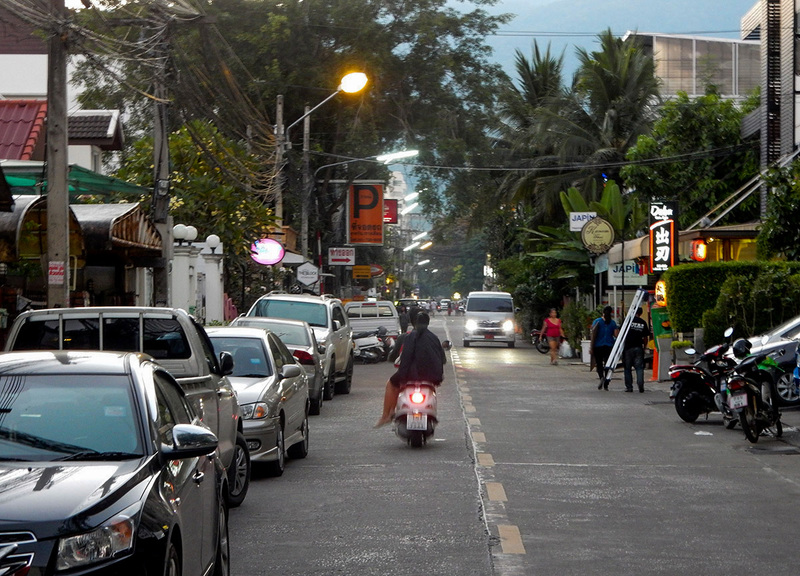 Normally Songtaews follow a fixed route through a town or city, but in Chiang Mai they go pretty much anywhere you ask. Just pull them over, tell them your destination, and, if they let you, jump in the back. To the central old city areas, like Tha Pae Gate and whatnot, it is normally around 20 Baht (or 30 Baht+ during busy times). Rot dit. There really are no set prices so it’s best to be sure beforehand. I personally ignore the advice of penny-pinching backpackers who, by the looks of Chiang Mai, make up the majority of expats settling there. I prefer to live a normal enjoyable life instead of following some frugal existence for super cheap living. Fortunately I do have some local Thai friends who live in Chiang Mai and they can easily advise on these things. Much already highlighted above. But I have also been based in Thailand for the past five years, so many living costs go across the board anyway. Seven Elevens don’t exactly hike up prices in different areas. So, to be honest, the cost of living won’t be too much different to living in the rice fields. Anyway, some of the basic costs of living in Chiang Mai and in and around the Nimman area would be as follows. Around 5,000 Baht per month for your basic apartment (long-term contract), fully furnished, air-conditioning, balcony, and often free wifi and international TV channels. 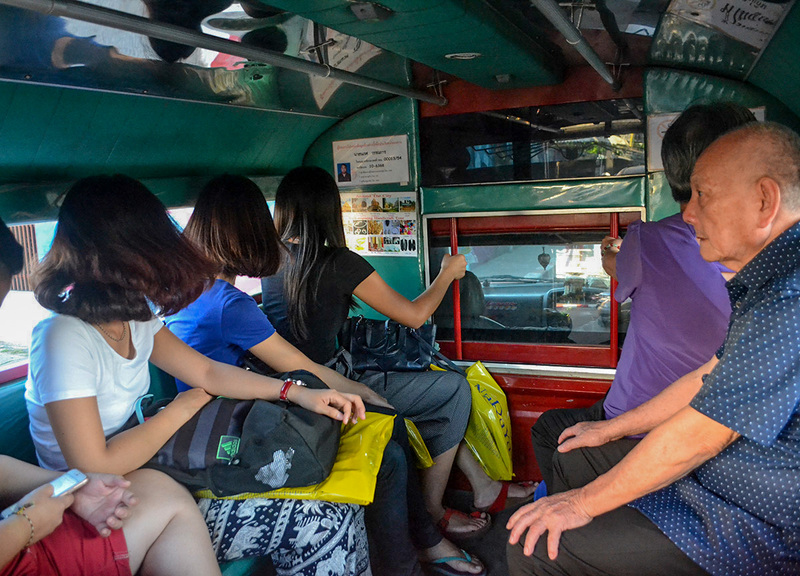 Overheads, like electricity water and air-con, will be around 1,000 Baht plus. 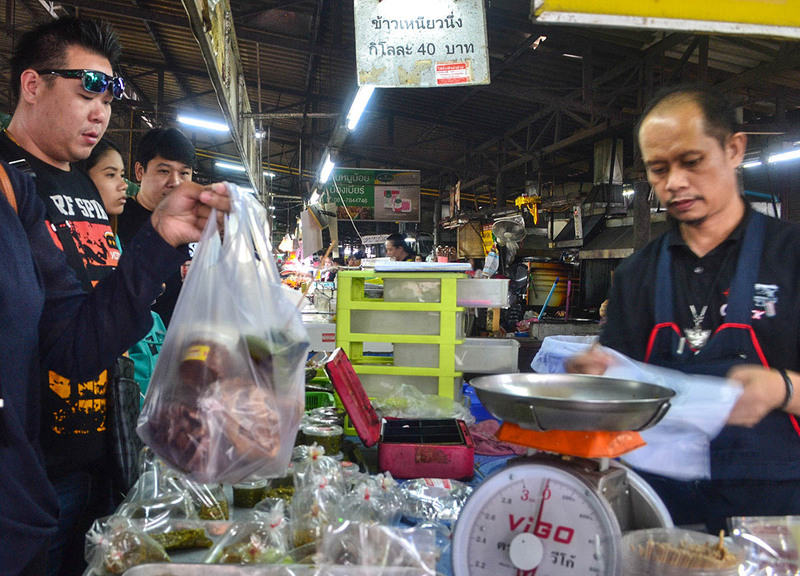 I’d probably go with 1,200 Baht for travel, and, at least 3,000 Baht for eating. And then I’d round it up to 12,500 Baht with another 2,300 for unexpected costs. So 12,500 Baht would be the basic cost of living, and I mean basic. This would be the bare minimum for me. Otherwise it would be surviving, rather than living. And this is obvious when fast food, like Big Mac meals, are considered a luxury item in life. And they’re half the price in Asia. But it does obviously depend on an individual’s level of comfort. So I took this figure, of 12,500 Baht, to the locals. White collar workers and students. And they agreed that, “well….. maybe”, this figure would work. They also looked at me if I were a sick dog… Baring in mind that there figures don’t include VISA runs, further travel, living social, coffee shops even. It’s around 60 Baht for a coffee. On this budget there would just be lots of things that people would have to give up really. But, while I would never advise people to live in Bangkok on these tight budgets, this is more to do with the lifestyle you will be living. People don’t go to Bangkok for a laid back living, or relaxed lifestyle. Bangkok is more about big city life, the food, the glutton and the unbeatable international airport (at least it is for me) and, in comparison, Chiang Mai is sleepy and tame. And it’s just easy not to spend money. And while I would miss Bangkok’s flight routes it is still only an hour or so to reach by flight. But for now a new life in Nimman looks more likely and it would sort of pave a median between our past two lifestyles in Thailand, between the big city living of Bangkok, and the rice fields of Isaan. And, culturally, there’s a lot more for me to learn now in the north. Nice article. I appreciate your perspectives of budgeting and comparing your three experiences. Sounds like a healthy number. Should cover a nice condo and a decent social life. Retirement visa also saves on the long-term complications and settling. Best of luck. Hi Dom. It’s not hard to find 5000 Baht studio apartments in-and-around the backstreets on long-term contracts and I have a bunch of local Thai friends (who worked on this post back in 2015) who live permanently in and around the area on between 5000-7000 Baht. And while I’m not certain of the current prices (they’re not too different), we did stay in a 35sqm boutique style apartment last year, giving us enough room to squeeze out loads of farts. This also included a detached kitchen, a balcony, a communal pool, and free internet, tv, and coffee facilities etc, for 10,000 Baht. But that was also for one single month, not a contract, in November when prices are high, and it was just a stone’s throw from the main Nimman road on Suk Kasame Rd. Note, I have done other posts in this area – but it still stands that this is the local price in-and-around the area for the most basic studio apartment (2015). I do point out that it is more for survival than living, as it is a bit ghetto, and that’s why I say it’s Bare Minimum. But it is doable. Or should I lie to people instead… smh. Anyway, stay awesome, Allan.